Creative Pixar: Lava pool in Madeira, Portugal - The natural bathing pools surrounded by bizarre lava rocks and filled by the tide with crystal clear water are undoubtedly the main attraction of this village. 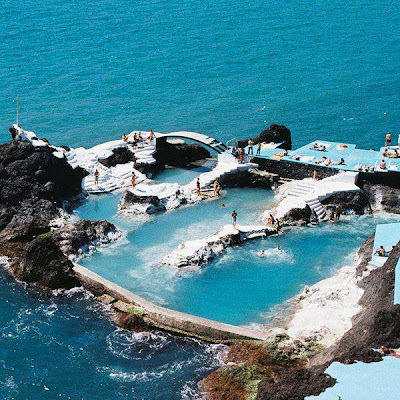 Lava pool in Madeira, Portugal - The natural bathing pools surrounded by bizarre lava rocks and filled by the tide with crystal clear water are undoubtedly the main attraction of this village. The ache for home lives in all of us, the safe place where we can go as we are and not be questioned. See the link below for more info. A meaningful silence is always better than meaningless words.. The Voilet Betta Fish - The Betta is native freshwater fish from Thailand and Cambodia Wild Betta can often be found in a small pond, river and drain. As Betta can survive in a low-oxygen level of water, Betta can live anywhere and mostly in Asia. Can you find the hidden face? The Earth Has Music For Those Who Listen.. Photos and videos posted at this site may be subject of copyright @ Creative pictures.. Simple theme. Powered by Blogger.